Your newborn’s skin must adapt from the water-like environment of your womb to the dryer environment after birth. The transition isn’t immediate, and your baby’s skin will continue to develop long after birth, which makes his skin extra delicate and sensitive. Newborn skin can absorb but also lose moisture faster — leaving your baby’s skin prone to dryness. In addition, your baby’s immune system is still developing, so there’s also a greater potential for infection. Baby acne occurs in approximately 20 percent of all babies, and generally resolves itself during the first few months. It may take the appearance of pimples, whiteheads or a minor rash. Small white pimples or spots called milia usually appear on the face, especially the nose and chin. They aren't itchy and won't bother your baby. They are just the result of immature sweat glands, and possibly hormones from your pregnancy, and will disappear without treatment. Although most baby acne is self limiting and resolves on its own, if your baby’s condition is severe or you have concerns, be sure to talk to your baby’s healthcare provider. You may also notice during the first few days that your newborn's skin peels slightly, especially on the palms of his hands, soles of his feet and his ankles. This is perfectly normal, especially if your baby was born past his due date. After a few days the peeling will go away. You can ask your baby’s healthcare provider if using a baby ointment or moisturizer might be helpful. Many babies experience eczema or dry skin. Learn how to recognize and treat these conditions. Some babies have cradle cap or seborrheic dermatitis — a skin condition that looks like crusty or scaly patches on the scalp or eyebrows. Cradle cap is a very common condition that may begin in the first few weeks and usually lasts several weeks or months. Fortunately, it usually resolves completely when your baby is between eight and 12 months old. To help alleviate cradle cap, you can gently massage a moisturizer or oil like JOHNSON'S® baby Oil onto the patches to soften the crust. Wait a few minutes, then comb gently to remove the flakes. Then you can shampoo with a gentle made-for-babies shampoo like JOHNSON'S® baby shampoo. Many babies experience diaper rash at some point. 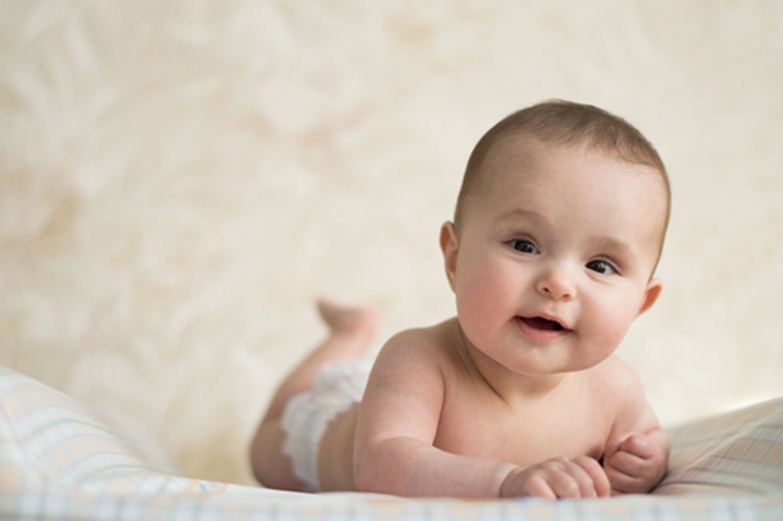 For information on diaper rash care and protection, visit our diaper rash guide. Even though many of these conditions resolve on their own, if you do have any worries or concerns, it’s best to speak to your healthcare provider. Learn about the rigorous testing, expertise, and care that ensure JOHNSON'S® Baby products are safe, mild, and gentle for your baby's delicate skin.